First and foremost I am a song writer. I have written and recorded hundreds of songs. 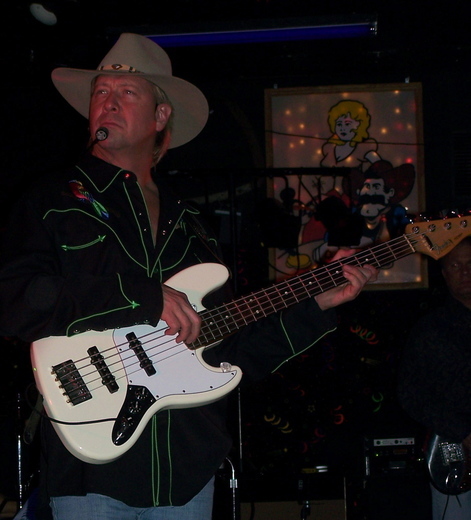 When I am on stage I have a 5 string bass in my hands and a wireless system for both my instrument and my head set. When I write you can find me behind the piano or at the kitchen table with an old acoustic in my hands. A great deal of my songs start out in the car. If I don't have my voice recorder with me I would call home to my machine and sing away. Now I have a phone with the voice recorder feature on it. I am currently touring with a bunch of guys in a totally unrelated genre then my original stuff, and these guys are so cool that I love being their sideman.